Shawn has been fortunate to live in many parts of the United States before choosing Asheville, NC as his permanent home in 2005. Shawn and his wife spent a year and a half traveling around the country in an RV before choosing this wonderful city to settle down in. Shawn graduated from Colorado State University with a Bachelor of Science Degree in Civil Engineering. 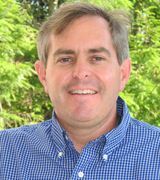 Shawn has worked as a fishing guide, surveyor, and Civil Engineer before deciding to pursue his career in Real Estate. It was really just a matter of time for Shawn to gravitate to Real Estate. Shawn grew up with a top notch REALTOR/Broker/Owner, his mother. Shawn’s mom worked in Real Estate for over 35 years including starting her own RE/MAX in Estes Park, CO. Influenced by his mom’s success and combining his attention to detail from engineering with his love for meeting and talking with people from all walks of life, Shawn made a career change and joined RE/MAX in Asheville in 2010. Shawn’s background in Civil Engineering in the Asheville area has proven time and time again to be an asset in finding that perfect home or development property. Shawn has been in the top 100 Realtors in the region consistently since he started. In his spare time Shawn is Den Leader with the Weaverville Boy Scouts and volunteers with the Weaverville Elementary PTO to keep track of his 8 and 11 year old kids. Shawn also enjoys hiking/ camping, and our vibrant local music/ restaurant scene. Give Shawn a call to get started on your home or property search and to hear first-hand why he made Asheville his home! If you are curious right now, please use the Property Search Button on this site to get an idea of what is available in the counties that Shawn specializes in which are, Buncombe, Henderson, Madison, Jackson, Transylvania, and Haywood Counties.